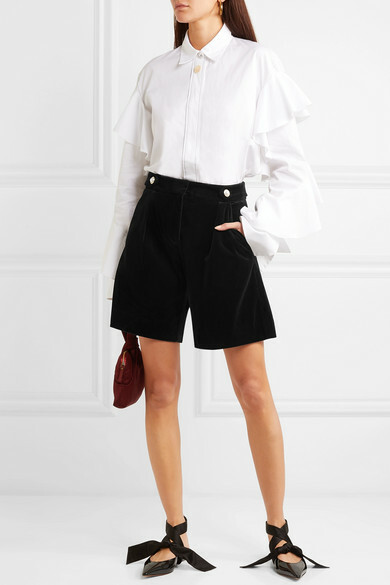 Shorts are a huge trend for Spring '19 and this velvet pair from Mother of Pearl is the perfect way to wear the look for evening. Cut in a comfortable boxy silhouette, they're embellished with the brand's signature faux pearl buttons set in gold and will look gorgeous with bare legs and point-toe flats. Shown here with: Ellery Shirt, The Row Clutch, Altuzarra Flats, Laura Lombardi Earrings.